WTF Are You Reading? 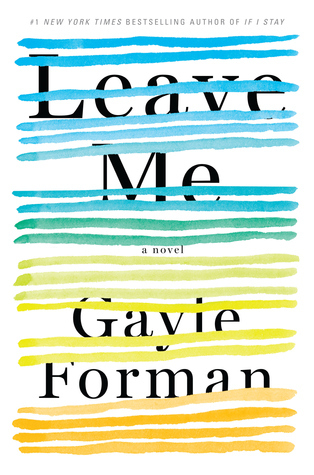 : There Could Be A Few Too Many Questions Left Unanswered By "Leave Me"
There Could Be A Few Too Many Questions Left Unanswered By "Leave Me"
Gayle Foreman's newest Adult Fiction offering, entitled Leave Me is a very emotionally provocative tale. To say the least. The story of Maribeth Klein. Leave Me gives insight to the negative side of today's "Superwoman " approach to life. The belief that as women, we not only can, but should, tend the children, organize the house, work outside the home, and answer to the needs of the husband...all in short order. Such seems the fate of our leading lady. Mother of two, editor of a magazine, wife to...Jason, bread winner, and slayer of dragons both large and small. A heart attack that she ignores, because she is so busy being all of the things to all of the people who claim to love her. A heart attack that goes unnoticed by all of the people who claim to love her. Because she is so busy being all of the things that they need her to be. A heart attack that causes Maribeth to take a step back from the life, love, and expectations of her present existence. 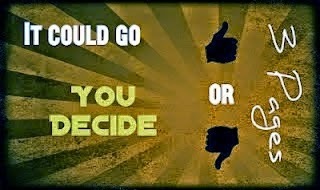 Opting instead, for a road less travelled. A road that begins on the day that she...decides to...STOP! It takes a great deal of a great many things to make a person decide to walk away from anything. This is never more true than when the thing that you are leaving, is the family that you chose to create. Especially if you are the female, wife, mother, workhorse, doormat, etc. But that, for better, worse, and an eventful few months in Pittsburgh, is what Maribeth does. Taking her readers right along with her. From word one, there will be those who will not agree with Maribeth's decision to leave. There will be those who will champion her decision, and there will be those curious souls who just come along for the ride. Simply to know where the car is going. For both Maribeth and the reader by extension. The time that she spends away from her world gives her a chance to become a person. To concentrate on who she is, what she wants, and to realize that the world that she left has not ceased to spin simply because it no longer rests squarely on her wary shoulders. Surprisingly enough, it is her husband, and his total lack of interest in his wife's whereabouts; that drives this point home. But while her husband may not be paying attention to her. There is an entire secondary cast in Pittsburgh; who do nothing else. Admittedly, a large portion of Maribeth's time in Pittsburgh has the feeling of page filler. Until she meets the charming and quirky Dr. Grant. The most readable and organic of Maribeth's 'new road relationships, is the one that she forms with her upstairs neighbors, Sunita and Todd. This is the one instance within the book, when Maribeth is the most free. Not the end of the book... by far! Just the end of progression. Or rather, Maribeth's interaction with him after months of radio silence. And then we come to the part of the book where the sappy music starts to play, all the hurts, justifications, and evils of the past become moot points, and Jason and Maribeth start to relate. Oh boy, you should be able to suss out the tearful reunion from here. Give or take another death defying experience or two. This is the point at which the stars in this book's rating start dropping faster than the temperature in the middle of a a Chicago winter. While the ending is very commercially appealing and romantic from a HEA standpoint. It leaves things with Maribeth's growth as a person and her life in Pittsburgh, sadly unfinished...and a great many readers unfulfilled.